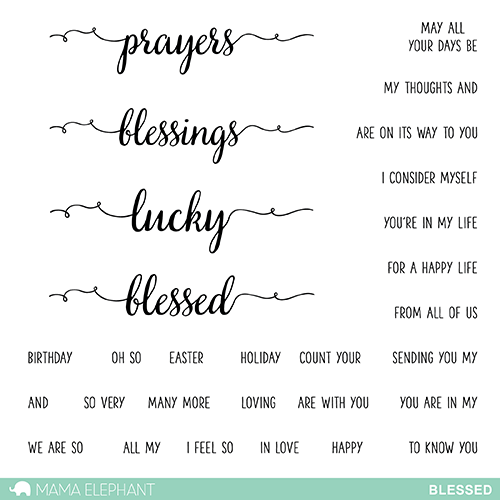 mama elephant | design blog: INTRODUCING: Blessed, Balloon Letters & Et Cetera CC, and new Designers! INTRODUCING: Blessed, Balloon Letters & Et Cetera CC, and new Designers! Hi everyone! It the last day of Stamp Introductions but we have some bittersweet news to get to first. 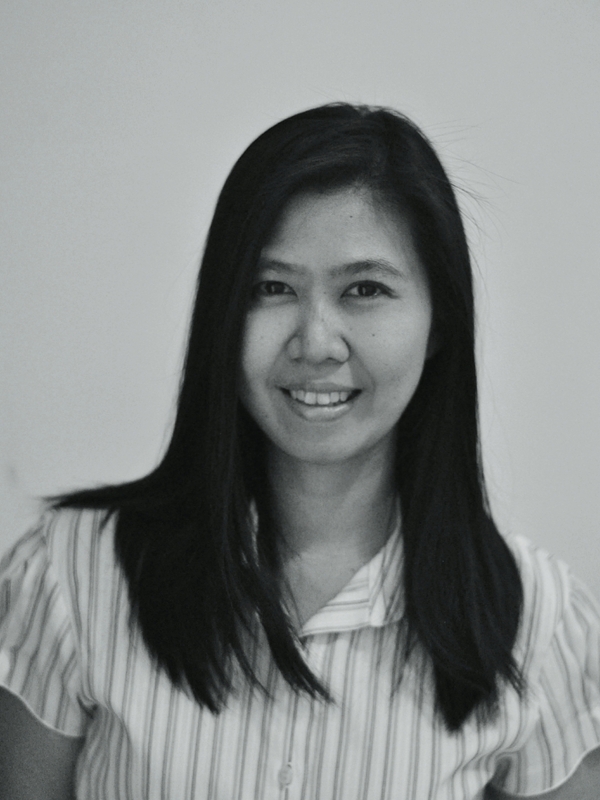 Today, we sadly bid farewell to designers Geralyn Sy and Ashley Marcu today. They have both been invaluable to our growth and success for the last few years. We sincerely thank them for sharing their talents and creativity with us. ME has grown so much from the beginning and can now be found in retail stores all across the globe! It's really exciting to know that our humble little products are in the homes of people all over the world. We thank YOU for making ME a worldwide brand! With our continuing growth, we naturally sought to expand our Design Team past North America and have pinpointed two amazing friends to help represent our brand past North America. You must be familiar with their work as we are constantly reposting their ME creations on Instagram and Facebook! 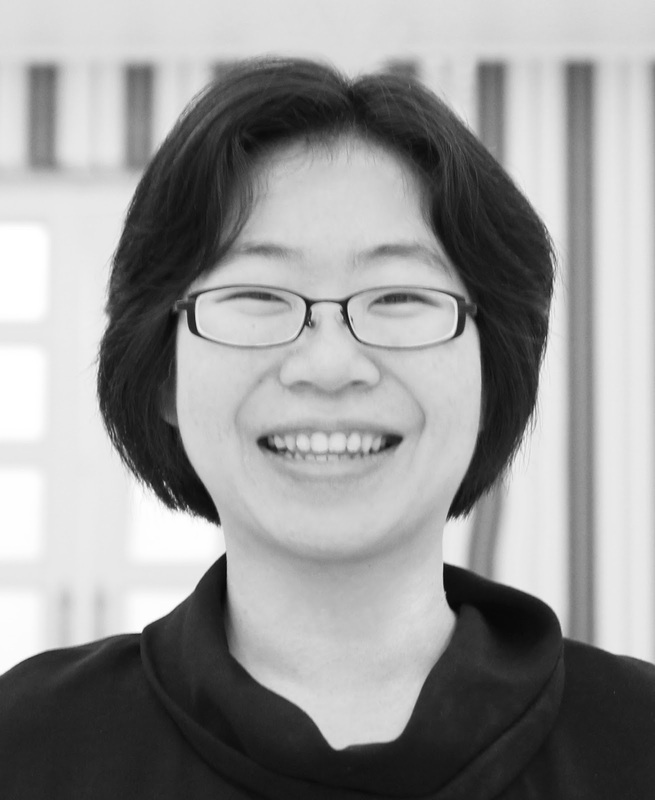 Please allow me to introduce our newest designers Vera Rhuhay and Melania Deasy! Hello, I'm Vera Rhuhay! I live in Surabaya - Indonesia. I'm a mom, a wife and a crafter at night! I'm a big fan of Mama Elephant and I'm so thrilled to be a part of Mama Elephant DT family! 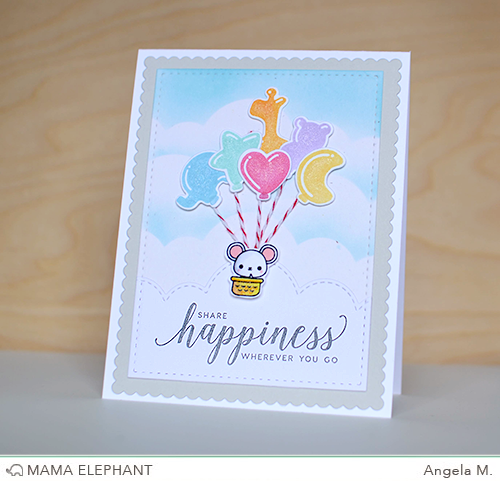 I'm looking forward to sharing my Mama Elephant stamped creations with you! WELCOME to the team, ladies!! We're so super excited to have you join our family! You'll be seeing their fab creations starting with tomorrow's Stampede! And now we move onto the our final intros of the July release with the full reveal and release coming later tonight! It's gonna be a great one! Now on to the projects! 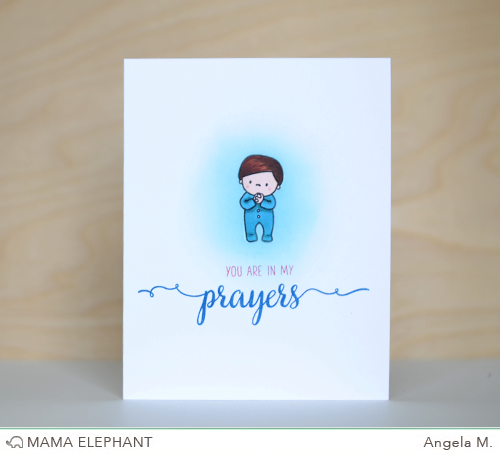 Angela made a simple card by pairing up a boy from In My Heart and the sentiments from "Blessed." They work perfectly together! 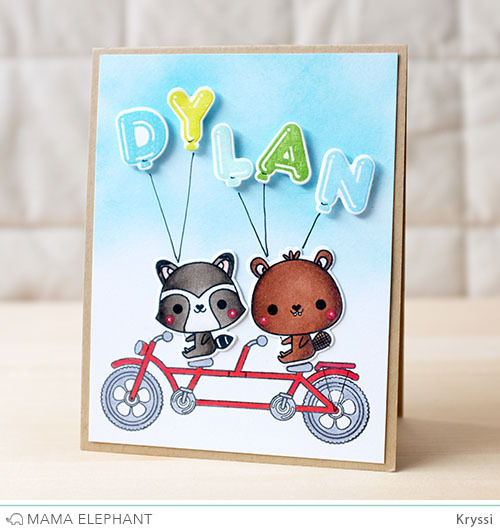 Here are two cards showcasing the Coordinating Creative Cuts to Balloon Letters and Balloon Et Cetera! Personalizing projects just got more fun with these balloons! Super cute cards! And congrats to Vera and Melania! Love the letters. My handwriting is illegible so I need all the help I can get when it comes to writing sentiments. Congratulations to Vera and Melania!!!! They are superb crafters! And I love those sentiments!!! Congrats, Vera & Deasy! ME is lucky to have you two! Oh I'm so happy to see new faces!!! And great picks those ladies rock! Such a fan of both! Congratulations Vera and Daisy. I love both of your cards which always cute and inspiring. Congratulations girls!!! I'm a huge fan of Mel's work!!! Big congrats two amazing ladies!! They are so talented!!!! Super fun inspiration and yahoooo for Melania and Vera!!!!!! Congratulations Melania and Vera! Super adorable cards, love these new sets! Congrats to Melania and Vera! Can't wait to see what both of you come up with. I also am in love with the sentiments. I need to win lotto so I can stock up on all of this cuteness! CONGRATULATIONS & WELCOME Vera and Melania!!! A big welcome to Vera and Melania - whose beautiful work is very familiar to me (and a million others, I'm sure)! Welcome, Vera and Melania! These cards are utterly adorable, love the new release! Welcome ladies. The mouse with the animal balloons is so cute.